Aretha Franklin was a celebrated African American singer, songwriter, actress, pianist, and civil rights activist. 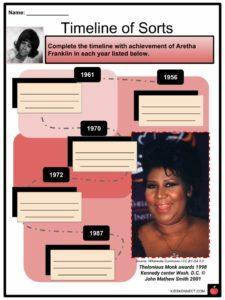 Aretha Franklin was a celebrated African American singer, songwriter, actress, pianist, and civil rights activist. She was dubbed as “Queen of Soul” and was one of the most prominent singers in the 1960s. She has won 18 Grammy awards. 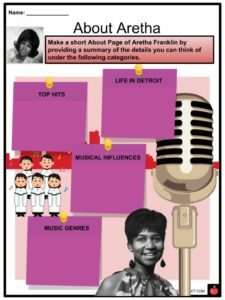 See the fact file below for more information on the Aretha Franklin or alternatively, you can download our 22-page Aretha Franklin worksheet pack to utilise within the classroom or home environment. 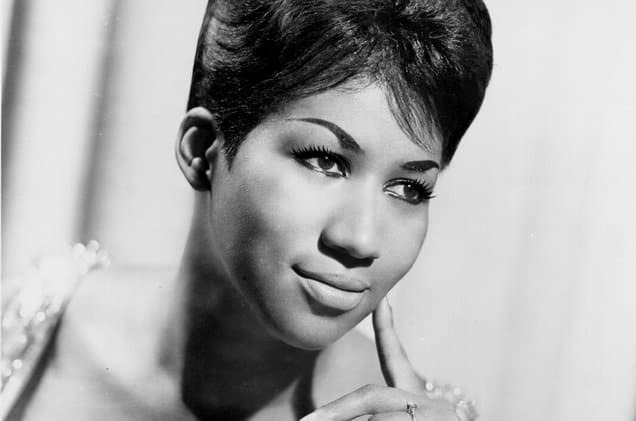 Aretha Louise Franklin was born on March 25, 1942 in Memphis, Tennessee. She was the fourth of five children of Barbara Franklin, a gospel singer and C.L. Franklin, a Baptist minister and singer. 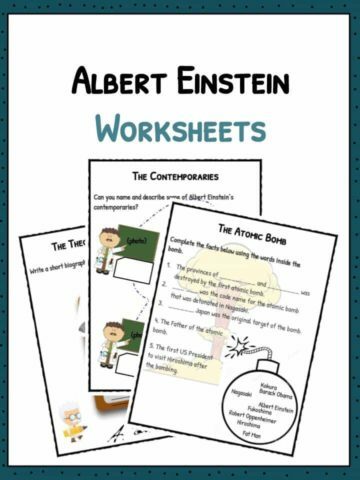 Her family moved to Buffalo, New York when she was two. 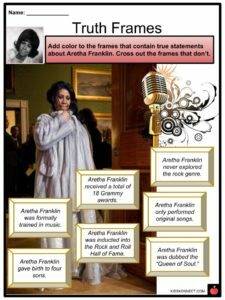 Then when Aretha was five, they permanently settled in Detroit, Michigan because of her father’s ministry in the New Bethel Baptist Church. Her father was a nationally recognized preacher. Her parents separated when she was six years old. Aretha’s mother passed away when Aretha was 10 years old. She stayed with her father in Detroit. She attended public school in Detroit but dropped out in her second year. Aretha’s vocal talent at a young age was very apparent. She was considered a prodigy. She started singing in her father’s congregation and toured with her father on his gospel revival shows throughout the United States. Young Aretha’s influences (and friends) were gospel artists Clara Ward, Mahalia Jackson, Albertina Walker, and Jackie Verdell. In 1956, she recorded her first tracks at 14 years old which would constitute her first album “Songs of Faith” released by Checker Records in 1965. 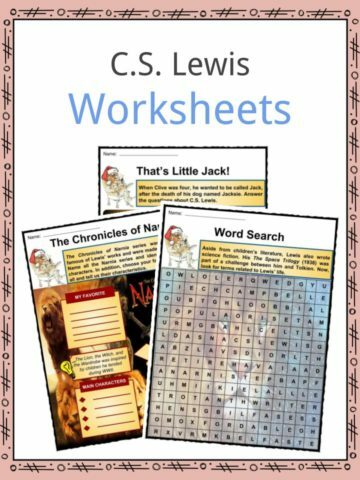 Also at the age of 14, she gave birth to son, Clarence, followed by another son two years later, Edward. She took a short hiatus but got back into the scene and went to New York where she signed to Columbia Records in 1960. Two tracks from Franklin’s self-titled album made it to the R&B Top 10. Her single “Rock-a-bye Your Baby with a Dixie Melody” placed No. 37 on the pop charts that same year. 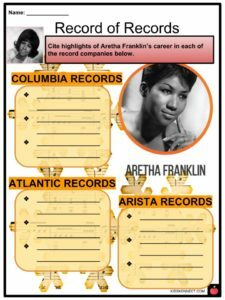 When her contract with Columbia expired In 1966, Franklin and Ted White, her new husband and manager, decided to sign to another label, which was Atlantic Records. Her career with Atlantic Records spanned from 1967 to 1979. With Atlantic Records, Franklin recorded the single “I Never Loved a Man (The Way I Love You)” which became a Top 10 hit. In 1967, Franklin released her first album with Atlantic entitled “I Never Loved a Man the Way I Love You” which achieved massive commercial success. The song “Respect” on that album peaked at No. 1 on R&B and pop charts. Aretha won her first two Grammy Awards in 1968. Franklin’s gospel roots and powerful vocals in popular music made her one of the most prominent singers during her time and even up to now. Her enduring classics “Baby I Love You,” “I Say a Little Prayer,” and “(You Make Me Feel Like) A Natural Woman” placed in the Top 10 at the time of their release. Franklin earned the title “Queen of Soul” because of her popularity and unquestionable vocal talent evident in her chart-topping and award-winning singles and albums. 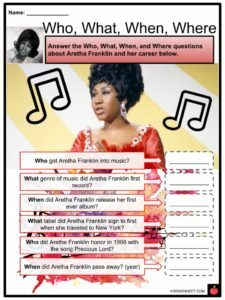 As Queen of Soul, she was also considered the rightful representation of the empowerment of African Americans during the Civil Rights Movement. Franklin performed the song “Precious Lord” at the funeral of Martin Luther King, Jr. in 1968. In that same year, she was chosen to sing the national anthem in the Democratic National Convention. She and Ted White divorced in 1969. She brought gospel music back into her repertoire and recorded a live church recording and packed it in an album entitled Amazing Grace. Amazing Grace was released in 1972 and sold over two million copies. Franklin explored rock and pop genres in the 1970s. She won eight consecutive Grammy Awards for Best R&B Female Vocal Performance. After ending her contract with Atlantic Records in 1979, Franklin signed to Arista Records. She also became a recipient of an honorary doctorate from the University of Detroit. Also in 1987, she won the Grammy for Best Soul Gospel Performance for her album One Lord, One Faith, One Baptism. 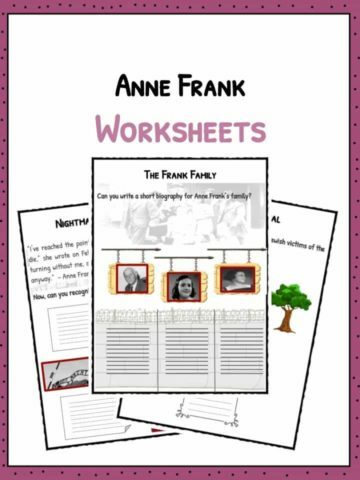 She had four sons in total: Clarence Franklin, Edward Franklin, Ted White, Jr., and Kecalf Cunningham. In 2009, Franklin sang “My Country, ‘Tis of Thee” at President Barack Obama’s inaugural ceremony and received international attention for it. In 1987 Franklin became the first woman inducted into the Rock and Roll Hall of Fame. 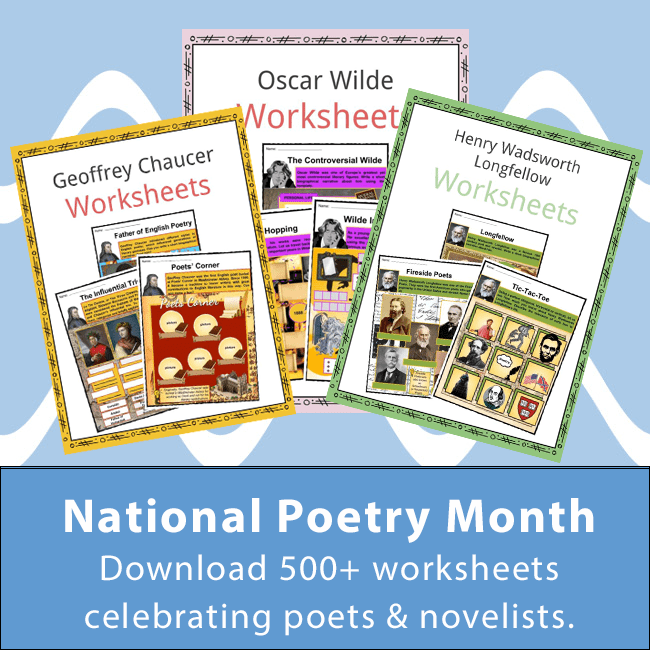 Honors she received are: the Kennedy Center Honor (1994), National Medal of Arts (1999), and the Presidential Medal of Freedom (2005). 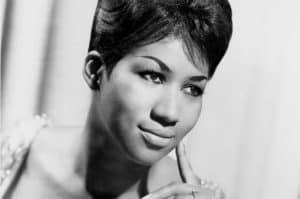 Aretha Franklin died on August 16, 2018. 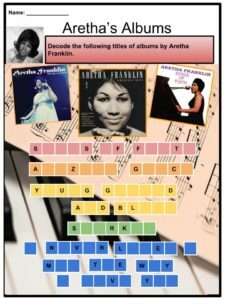 This is a fantastic bundle which includes everything you need to know about Aretha Franklin across 212 in-depth pages. 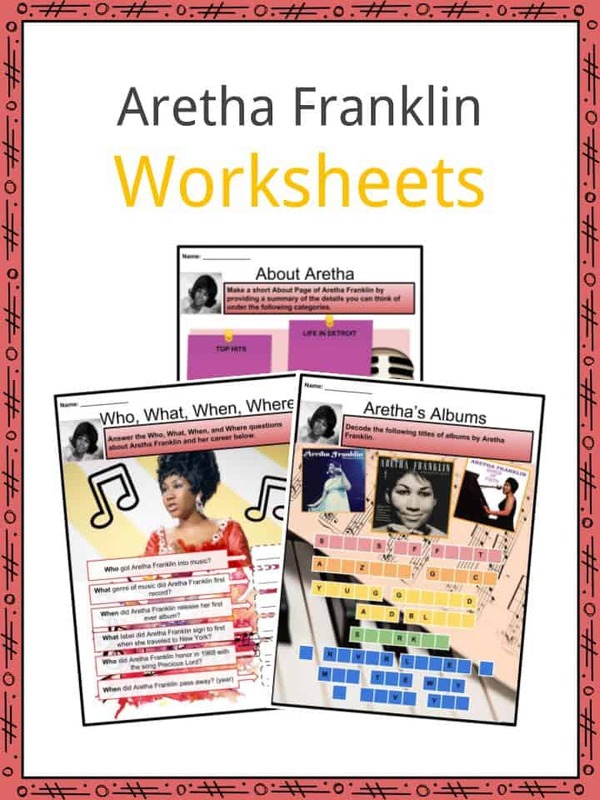 These are ready-to-use Aretha Franklin worksheets that are perfect for teaching students about Aretha Franklin who was a celebrated African American singer, songwriter, actress, pianist, and civil rights activist. She was dubbed as “Queen of Soul” and was one of the most prominent singers in the 1960s. She has won 18 Grammy awards.